More bad news has emerged for Canada-based online-gambling giant Amaya Gaming, in the form of a class-action lawsuit filed against the company in the wake of last week’s allegations of insider trading involving the company in recent years. The case as filed is titled Mattie v. Amaya Inc., et. al. The Mattie case was filed on Friday in the US Southern District of New York and describes itself as a “class action complaint for violation of the [US] federal securities laws.” Named as defendants in addition to Amaya Inc. are the company’s two most prominent executives, CEO and Chairman David Baazov and CFO Daniel Sebag. The case’s lead plaintiff is an investor named Jason Mattie, who has attested to buying Amaya stock during the “Class Period” defined in the complaint. That class period currently is listed as running from June 8, 2015 through March 22, 2016, when news of the indictments against Baazov and 16 other individuals, plus three corporate entities, were announced. Mattie acquired a total of 471 shares of Amaya stock in four different 2015 trades. Throughout the Class Period, Defendants made false and/or misleading statements, as well as failed to disclose material adverse facts about the Company’s business, operations, and prospects. Specifically, Defendants made false and/or misleading statements and/or failed to disclose: (1) that the Company’s CEO was engaged in an insider trading scheme that involved influencing the market price of the Company’s securities and communicating privileged information to third parties; (2) the Company lacked adequate internal controls; and, (3) that, as a result of the foregoing, Defendants’ statements about Amaya’s business, operations, and prospects, were false and misleading and/or lacked a reasonable basis. 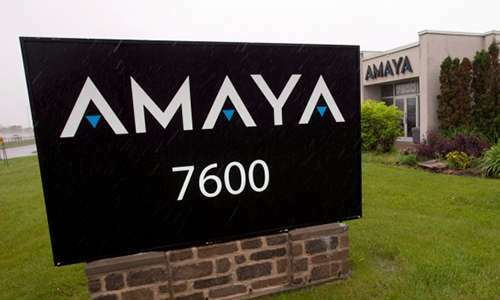 Amaya’s shares tumbled more than USD $3, or over 20%, on news of the charges brought by Autorité des marchés financiers (AMF), the securities regulatory authority in the Province of Quebec. The lawsuit was filed via a California law firm, Glancy Prongay & Murray LLP. The introductory portion of the complaint was largely reiterated in a press statement issued by Glancy Prongay & Murray earlier this week as part of a call to more Amaya investors to join the alleged aggrieved class. The lawsuit appears to have been filed with the legal assistance of the New York-based Rosen Law Firm, which issued a largely similar press statement later the same day. The NY firm was necessary due to the case being filed in New York,where jurisdiction is being sought due to Amaya stock being traded on the NASDAQ exchange. These defendants employed devices, schemes and artifices to defraud, while in possession of material adverse non-public information and engaged in acts, practices, and a course of conduct as alleged herein in an effort to assure investors of Amaya’s value and performance and continued substantial growth, which included the making of, or the participation in the making of, untrue statements of material facts and/or omitting to state material facts necessary in order to make the statements made about Amaya and its business operations and future prospects in light of the circumstances under which they were made, not misleading, as set forth more particularly herein, and engaged in transactions, practices and a course of business which operated as a fraud and deceit upon the purchasers of the Company’s securities during the Class Period. It is worth noting that Amaya CFO Daniel Sebag, named as one of the co-defendants in this case, was not among the 17 people (including Baazov) who were charged in the AMF complaint last week. Nonetheless, this lawsuit claims that Sebag took a very active role in disseminating information that he allegedly knew to be fraudulent in the course of assisting the grand insider-trading scheme allegedly behind Amaya, and that his statements helped served the purpose of artificially inflating the company’s stock price. The complaint also notes that “Plaintiff believes that there are hundreds or thousands of members in the proposed Class,” and has asked that Amaya provide trading records to help ascertain the identity of all adversely-affected investors.